Machining is manufacturing process that involves removing materials using cutting tools for getting rid of the unwanted materials from some workpiece and converting it into the shape you desire. A large piece of stock is used for cutting the workpiece. The large stock might be in any shape such as solid bar, flat sheet, beam or even hollow tubes. The process can also be performed on some existing part like forging or casting. 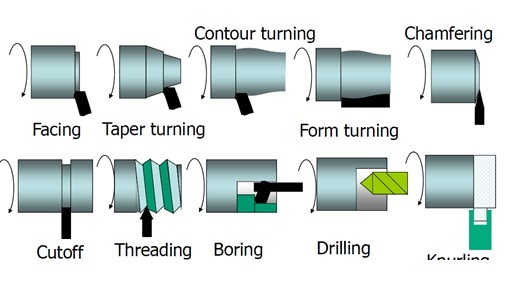 Machining operations are classified into 3 principle processes and they are turning, drilling and milling. There are other operations too that fall in miscellaneous categories such as boring, sawing, shaping, and broaching. A specific machine tool is required for taking care of each machining operation. In drilling process holes are created in the metal through circular cylinders. 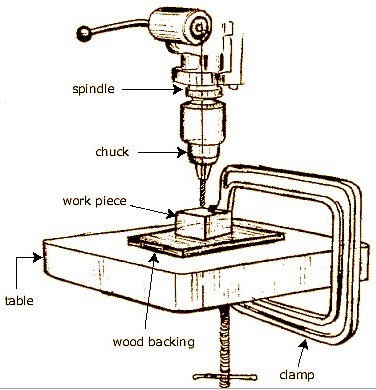 A twist drill is used for accomplishing this task. 75% of the metal cutting material is removed through the drilling operation. The drill enters the workpiece and cuts a hole which is equal to the diameter of the tool that was used for cutting the whole. 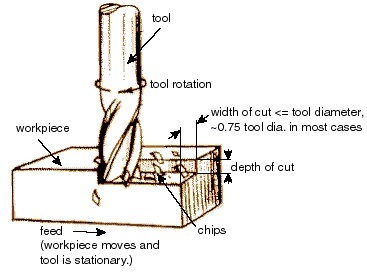 A drill has a pointed end which can easily cut a hole in the work piece. 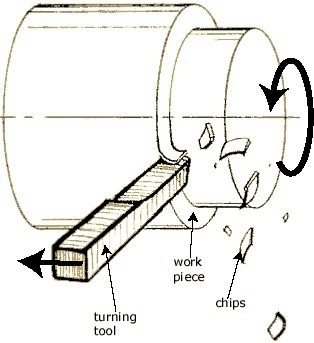 Turning is basically a lathe operation by which the metal is removed from the workpiece outside its diameter using a cutting tool. This operation is performed on a lathe which is a machine where the workpiece is adjusted and the tool is kept stationary whereas the workpeice is rotated. Lathes are specially designed for the turning operation and they help in cutting the metal in the most precise way. The workpiece is placed on the chuck and the machine rotates the stationary tool to cut the unwanted parts from the piece. 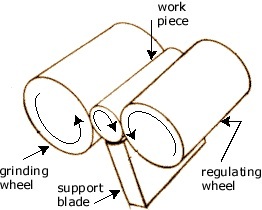 Milling is one of the fundamental operations in machining. This manufacturing process is less accurate than the turning processes because the degree of freedom is high. Milling fabricates the object which is not axially symmetric. A milling machine is required for this purpose along with a fixture, cutter and of course the workpiece. The workpiece here is the material that is already shaped and it needs milling. It is secured to the fixture, ready for being milled. The cutter is also secured to the machine. It has sharp teeth and it rotates at a high speed. The workpiece is fed to the cutter and it removes the unwanted metal from the piece. 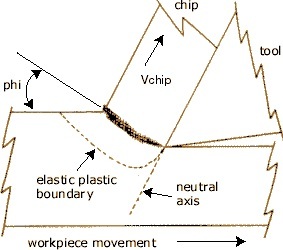 In chip formation process materials are cut through mechanical means by using tools like milling cutters, saws and lathes. It is an integral part of the engineering of developing machines and cutting tools.